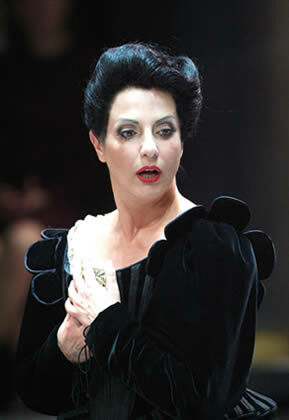 The NCPA's version of Turandot is the first original excellent work that the NCPA composed with all its strength. Puccini Festival Foundation, as the specially invited partner in the NCPA version of Puccini'sTurandot, has rendered full support from opera creation to rehearsal. Hao Weiya, the Chinese young composer, entrusted by National Centre for Performing Arts, becomes the third composer of the world and also the first Chinese artist to complete Puccini's Turandot. The famous director Chen Xinyi will be the general director and the famous stage designer Gao Guangjian will be the chief vision director and stage designer. They will decode the coldhearted Princess from an entirely new perspective and jointly open up a new artistic vista. The ancient Chinese Princess's story, completed by a Chinese for the first time, is a performing gala of the capital's cultural and artistic circle and moreover becomes a unique exquisite works of art in the gallery of NCPA. This time in the new Turandot, the famous vice conductor of New York Philharmonic, Zhang Xian, will be the conductor and leads the audience to enjoy a trip of Puccini's music, and in the meantime, the well-known Canadian soprano Anna Shafajinskaia will play the role of Princess Turandot. The cast will have a strong lineup, containing famous singers of the nation, such as Dai Yuqiang, Wei Song, Sun Xiuwei, Yao Hong, Ma Mei, Zhang Jianlu, all of whom will jointly participate and show their skillful performance with great passion.